One trick to prevent bullying? Raising confident kids. Here are ways you can build self esteem at any age. Happiness. Healthy habits. Success. These are qualities we want in our children. But you know the underlying trick to get there? Building their confidence. While insult and injury are part of life and can be crippling, a child with healthy self confidence is more likely to be resilient, to be an individual, and not to follow the group, explains Dr. Robi Ludwig, Psy.D, a Care.com parenting expert. Lori K. Evans, PhD, a clinical assistant professor in the department of child and adolescent psychiatry at the NYU Child Study Center, adds that a confident child will be less vulnerable to emotional problems, attempting suicide or harming himself. "When you are confident, you know your strengths and weaknesses, and that you can learn from other people rather than feel threatened by them," she says. Our experts have developed 7 simple ways you — or your nanny — can teach your child to be a confident and kind person. It might be a small start — say, teaching kids to be independent thinkers and respectful of others — but one that can hopefully have a positive impact on all of us (think: less likely to bully, or be bullied and more likely to befriend those who are bullied). Find more parenting advice from Care.com on Pinterest. "It's fine to have your own opinion, but when you demean a certain group of people - by how much money they have, what they look like, their sexual orientation -- you're simply preaching hate to your kid," says Dr. Ludwig. Even something about an outfit choice or intelligence level can stick with a child. A confident child is more likely to feel compassion for others and not belittle those who are different from them. Still, your son might worry that if he stands up for a classmate when kids are talking nasty, he might be the next victim. Instead of intervening, tell your child to report the behavior to a teacher and then ask the student to play with him. "Confident children don't necessarily tell off bullies, but they choose to include the underdog," says Dr. Evans. It might seem old fashioned, but knowing how to properly address a person, shake hands or even set a table can give your child a kick start to building self confidence. "Having good manners helps you feel good about yourself because you know how to treat others with respect and carry yourself in the world," says etiquette expert Lisa Richey. "It helps a child to develop the qualities of a leader." Work on good posture. It not only makes a child feel confident, but provides a visual clue to all of the other kids that he is confident. Another trick? Eye contact. It's the basis of a self-confident child, says Richey. To start, put aside your iPhone and give your daughter your undivided attention. Being fully present is key to good manners. And remember, kids are watching and listening to you. Say, "Thank you" to the checkout lady in the supermarket, shakes hands when you meet someone. Each time you practice good manners make sure you tell your child: This is how we treat and respect people. You can't push your kid to try activities you have selected because you think it will make a well-rounded child. When you play to a child's natural abilities, her hard work and success fosters confidence. "When a child excels in an activity outside school he will go back to school with the confidence to know it's okay if he doesn't fit into the school blueprint of success," says Richey. Parents generally want to make life easy for their kids. It's just natural to want to protect them, but it's not healthy to always forge the path. In fact, constantly running to the rescue could send the message to your child that he or she is not a capable person. Part of building confidence is learning how to cope with all types of situations. "Don't jump to problem solving, just listen," says Dr. Evans. And when they make a choice that goes awry, help them review the outcome and figure out why it was a mistake. Otherwise kids remain dependent on you and not confident in their decision making. "Kids need your unconditional love," she says. "Tell them: you will make mistakes but you are a good person and I love you!" Dr. Ludwig suggests starting small. Allow your toddler to choose her own clothes in the morning. She might go off to the playground in a flower-print skirt and rainbow sweater, but she will feel confident in her choice. The trick is to think about your child's strengths and interests and bestow a job that allows him to feel useful and successful. "When a child accomplishes something he or she feels confident," says Dr. Ludwig. An eye for organizing? Ask her to help unpack the groceries or sort the pantry. Fascinated by cars? Ask for help cleaning the interior. Make sure to point out why you asked your child to handle this responsibility -- because he's so tidy or a nature lover or is adventurous with food -- even if it's a strength you don't poses. 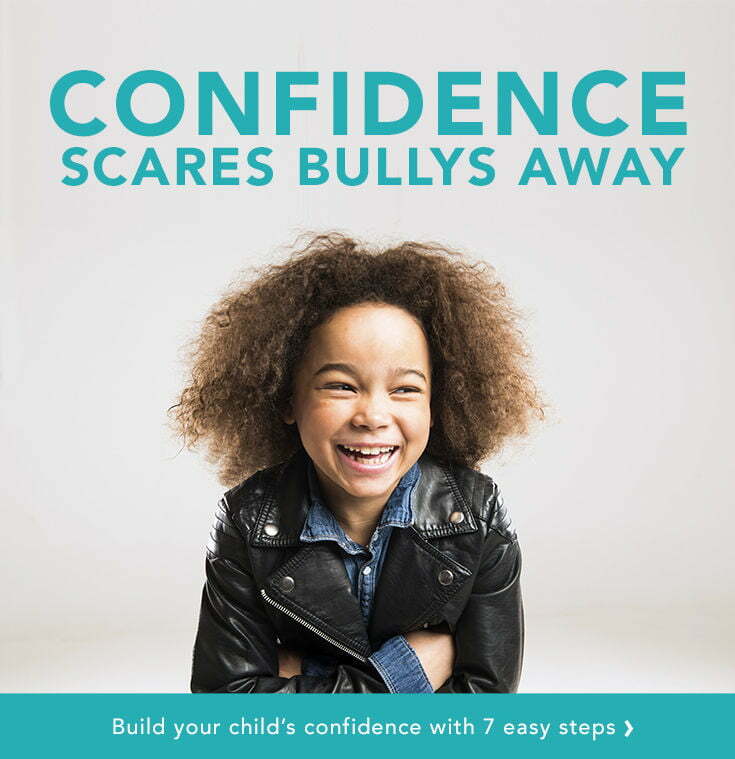 Here's how to get a pulse on other influences on your child's confidence. "You are not the only person influencing his self confidence but you are the most powerful," says Dr. Ludwig. "You must build the foundation of their self confidence but peers, teachers, the media and more will influence them." You shouldn't spy, but having kids feel comfy in your home will allow you to see if your child is choosing friends that support his identity. If you see a friend engaging a rude behavior (maybe texting constantly or saying nasty things about a teacher), use it as a lesson on how not to behave. "Self-confidence comes from a sense of competence. A confident child needs a positive and realistic perception of his or her abilities. This arises out of achievements, great and small. Your encouraging words can help develop this confidence, especially when you refer to your child's specific efforts or abilities. It is very importnat to love your child, show encouragement in whatever he or she does, however big or small! Setting of realistic goals are very important so that practically things can be achieved. Also a happy enviornment at home and school helps build confidence in children. Encouraging children to speak and be open about their feelings also helps in building confidence. Teachers trying to encourage children for debates, public speaking, group activities and extempos also helps. The IB curriculam focuses to bring out the best in the child and its planned in such a way that it develops the child holistically in all areas and inculcating empathy and character. One such school that focuses on this is Oakridge International school. " Good information... I have a 4 year girl child and what I do to boost her confidence is - Started her dance classes. it helps her to stay motivated and fit :) I ask general questions and reward her on the correct answers. Yesterday I was surfing the net and founded a video of 3 year old girl having expertise in Karate. God.. today's generation is too much :) Its good .. but we do not need to load our kids with the burden of our expectations. Its good till they are enjoying all these things but meanwhile it is also important to make them free and enjoy life in their own style. I also surfed on the net and found that there are few daily energy transmission programs for kids .. :). World is changing at dynamic speed. Thank you that was helpful!